MistForm, developed at the University of Sussex, is the first system to combine the technologies of shape-changing displays and fog screens. It supports one or two users in interacting with either 2D or 3D content.MistForm utilizes a moving fog surface to enable a dynamic zone of comfort. It can move towards and away from the user and can bend into different shapes for an optimal experience. It uses motion trackers to adjust the display, which is projected from above, according to the user`s movement. 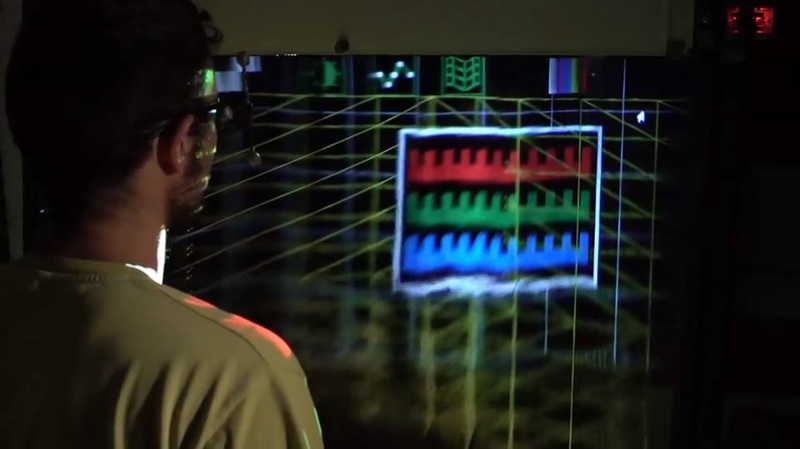 It can provide a working volume of over four times bigger than an alternative planar 3D display while being able to cover the comfortable interactive range of an adult user.Although the noise generated by MistForm in the current study may hinder interaction, especially during collaboration, MistForm may benefit in application of training scenarios where interactions with real hands and real tools are important in the future.Want to know more about this awesome technology? Follow this link!